There's nothing so cutting as an insult given in Olde English. 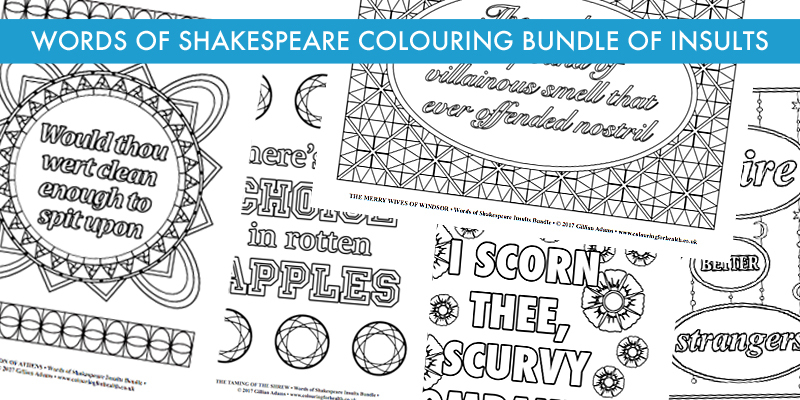 Shakespeare was a master at this, so now you can enjoy colouring 5 insults from his plays. - Would thou wert clean enough to spit upon. - There’s small choice in rotten apples. - I do desire that we be better strangers.